A hearing to determine whether the lawsuit launched against Prime Minister Stephen Harper by former cabinet minister Helena Guergis should be allowed to go ahead concluded Friday and a judge will now weigh the arguments on both sides. The lawsuit against Prime Minister Stephen Harper by his former cabinet minister Helena Guergis is now in the hands of a judge who will decide whether it will live or die. Arguments on both sides wrapped up Friday morning in an Ottawa courtroom on the third day of a hearing to determine whether Harper’s motion to have the lawsuit struck down should be granted. Judge Charles Hackland is also considering the same request from most of the other defendants in the case including Labour Minister Lisa Raitt, Conservative MP Shelly Glover, the Conservative Party of Canada, Guy Giorno, Harper's former chief of staff and Ray Novak, the prime minister's principal secretary. He said he will come to his decision as quickly as possible but didn't indicate when that might be. Hackland has a lot of material to sort through and could decide to strike down the lawsuit either in its entirety or in part. The lawsuit makes claims of conspiracy, defamation, misfeasance in public office, negligence and infliction of mental suffering and there are eight people, a political party and a law firm all named in the court action, filed in December. If Hackland dismisses the lawsuit, he must also decide whether to give Guergis a second chance. Her legal team wants the opportunity to amend the original statement of claim. But in closing arguments Friday, Harper's lawyer again called the lawsuit "a very bad claim" as he did in his opening remarks on Wednesday and he said Guergis shouldn't get another shot at it. 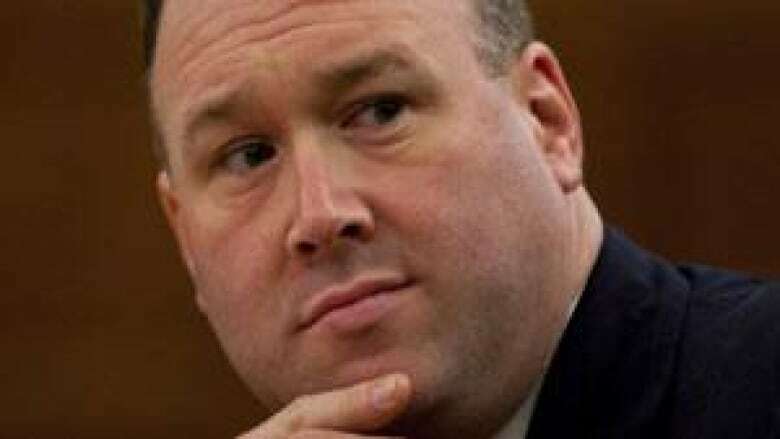 Robert Staley said his client didn't act illegally when he kicked Guergis out of his caucus, he didn't commit defamation when he made a public statement about the "serious allegations" his office had received about her, that the letters Harper wrote to the RCMP and Parliament's ethics commissioner are protected by the doctrine of absolute privilege, as are communications with his staff about her. Guergis resigned from cabinet amid controversy in April 2010, and later complained that she was never told what the serious allegations about her were. Harper's letter to the RCMP says they related to the conduct of Guergis and her husband, former MP Rahim Jaffer, and involved fraud, extortion, obtaining benefits by false pretences and prostitution. The Conservative party's lawyer who is also named in the lawsuit, Arthur Hamilton, made Harper aware of the allegations, and he had learned of the information from private investigator Derrick Snowdy. Snowdy had separately been investigating Jaffer's business dealings and had spoken to the Toronto Star. The story published on April 8, 2010, sparked a controversy around Guergis and her husband and, according to Snowdy's statement of defence, he received a phone call from Hamilton after it was published. Snowdy is also being sued by Guergis, but unlike Harper and the others, has not attempted to have the lawsuit dismissed. He was in the courtroom Friday. "This is pathetic," Snowdy told CBC News. "This is a puppet show, on the taxpayer's dime." He said he believes Guergis only launched the lawsuit to try to get a financial settlement from Harper and that it will likely not get to a trial. He agreed with Harper's lawyer that it is a poorly crafted lawsuit. Staley and the other lawyers argued that the statement of claim is full of holes and doesn't meet the required legal tests. "The material facts simply are not there," he said. He called the lawsuit an abuse of process and said that Harper and other high officers of the state are supposed to be able to operate freely without nuisance lawsuits interfering in their work. Allowing the lawsuit to proceed could have policy implications, he suggested, on the doctrines of Crown prerogative and parliamentary privilege. Guergis's lawyer, Stephen Victor, argued before the court that the prime minister and the others acted maliciously and in a conspiracy with each other to boot Guergis from office. They purposely ruined her reputation in order to justify her removal from cabinet and caucus, Victor said. "The purpose was to harm her, to discredit her in the public mind," he said. Raitt, for example, told her staff member Axelle Pellerin, also a defendant, that she had seen Guergis use cocaine in the washroom of an Ottawa restaurant. Pellerin told that information to Giorno, and all three are guilty of defamation according to the lawsuit. Victor argued that Raitt was not acting within her official duties as a cabinet member when she told Pellerin about the alleged drug use. "Surely that's not the duty of a labour minister," Victor said, adding that Raitt did not go to the police or any other authority. He also argued that Glover defamed Guergis during a television appearance when she said, "I can assure you that there is far more to come out," and "This isn't finished." The judge questioned how those words are defamatory, and Victor urged him to watch the whole video where he says Glover can be seen rolling her eyes when Guergis's well-being is discussed by another MP during a panel discussion. In earlier arguments Thursday, Victor said Harper clearly chose to defame his client when he spoke publicly about her leaving cabinet and about the allegations he had received. Victor said Guergis has never used cocaine or been involved in any other criminal conduct. He said the case should be allowed to go to trial so that more facts can come to light and so that what really happened in April 2010 that caused Guergis to lose her cabinet post can be determined. Guergis was also prevented from running in the last election as a Conservative candidate. She ran as an Independent and lost.